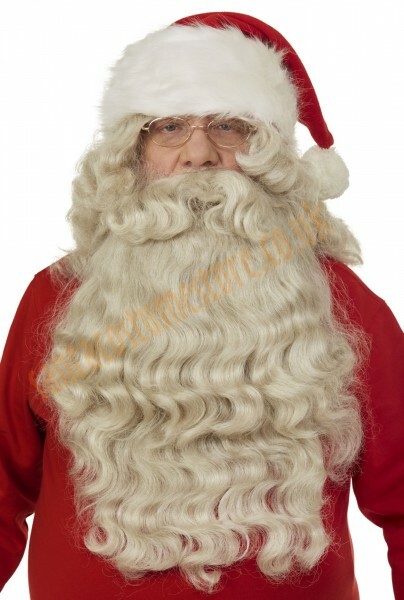 The best Santa beard on the market – in a set including a wig. Top quality. This exceptional Santa beard boasts a natural appearance – and is an excellent choice for those Santas wanting to achieve that dignified, upstanding look. Wearing such a beard, Father Christmas really will feel proud (though looking in the mirror he may also feel pretty old!). 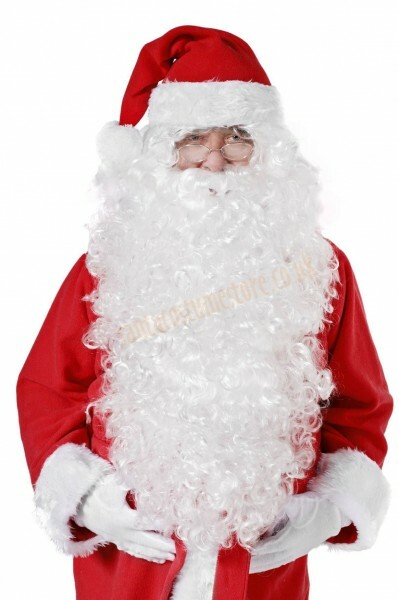 The set comprises an extremely natural-looking Santa beard that’s 19.5" (50 cm) long, and boasting an authentic grey colour, as well as a long wig (at approx. 15.5"/ 40 cm long it reaches down to the shoulders) and self-adhesive eyebrows. The hair in the beard and wig is arranged in gentle waves. There is one more enormous strength to this beard: not only does it look beautiful and natural, but it is also nice to the touch – and is as soft and thick as a natural beard. 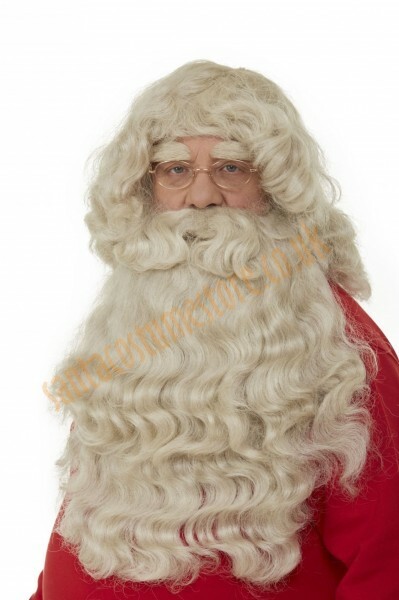 This Santa beard really does look authentic – and at first glance you could well think that it’s the wearer’s own hair! Only the wearer knows that it’s attached with elastic straps. If you’re afraid of kids climbing onto your lap discovering your secret, you can use our special Santa beard glue to make sure it stays put – even when tugged by a curious kid. 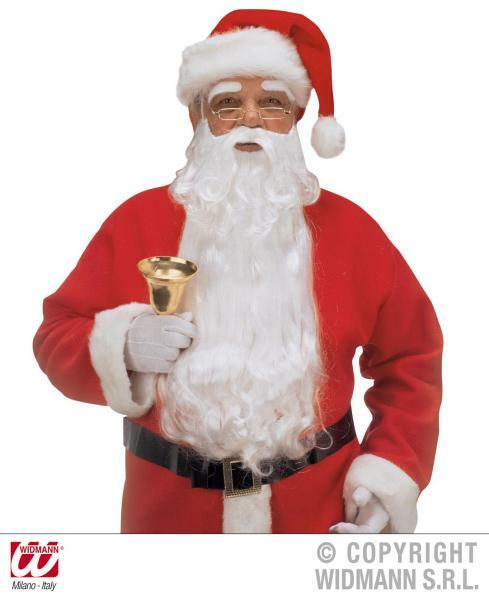 The Santa beard you see here really does look like proper grey growth – well-groomed, voluminous and combed every day. The perfect choice for professionals.